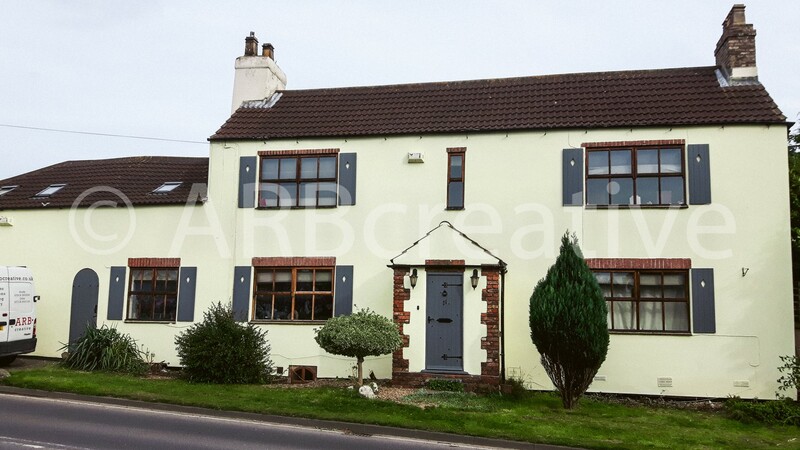 Our project was to fix the cracks in the cement render and repaint this old country cottage and freshen up the exterior. 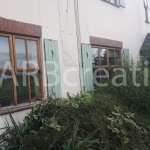 Our first task was to remove all the overgrown foliage from the front of the property. 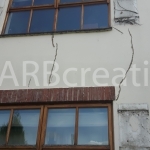 We then raked out the really bad cracks in the cement render and used an exterior filler to make good. 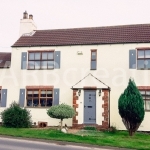 The masonary was then painted in a country cream colour. The windows were rubbed down and re varnished in a darker colour. We removed the old shutters which were well passed their best and made new ones. The new shutters were painted in a fashionable grey colour as were the font door and garage door.